Born 1974 in Mexico City. Lives and works in Såo Paulo. 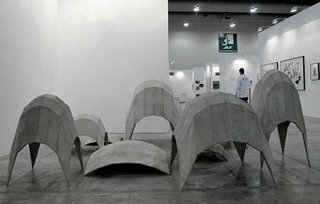 Works with various common materials to create installations in public spaces such as canals or parks, or in interior settings of art museums or other buildings, making effective use of the respective location's architectural characteristics.